OUT with the old and in with the new. 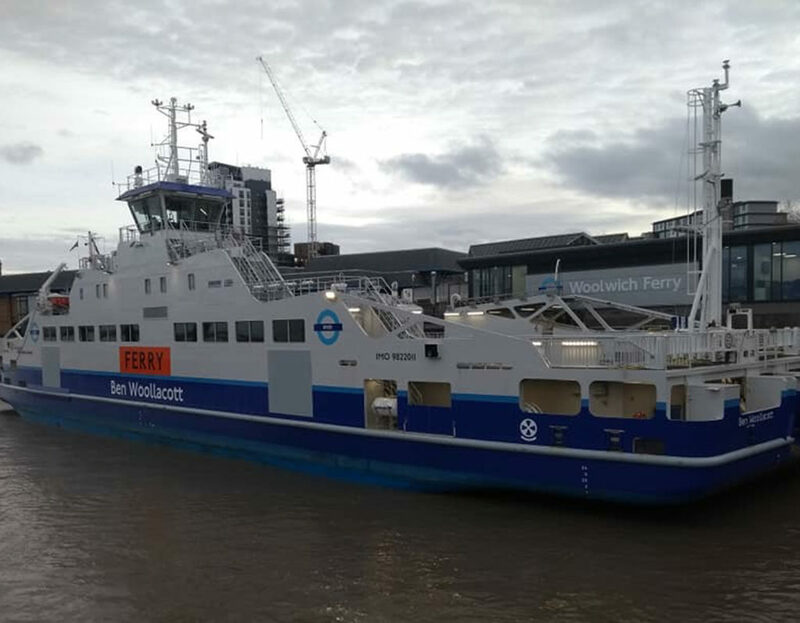 History was made a few weeks ago as the two new Woolwich Ferries began operations ferrying passengers and vehicles back and forth across Old Father Thames. There was much excitement as operations restarted just three months after the last boats stopped making trips between North Woolwich and Woolwich. 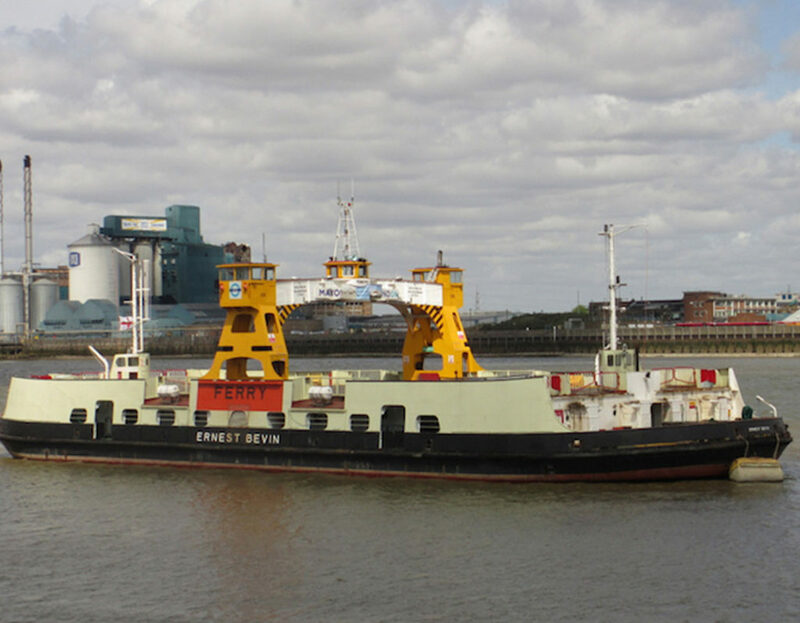 The last of the old ferries, the Ernest Bevin, left London in November and work began creating the new piers either side of the Thames. The first of the new boats, arrived two weeks later. The Ben Woollacott ferry immediately began taking part in trials with the new magnetic coupling automated docking system. She was swiftly followed by Dame Vera Lynn. The tradition of naming ferries after local people have already helped them earn a place in the hearts of locals. 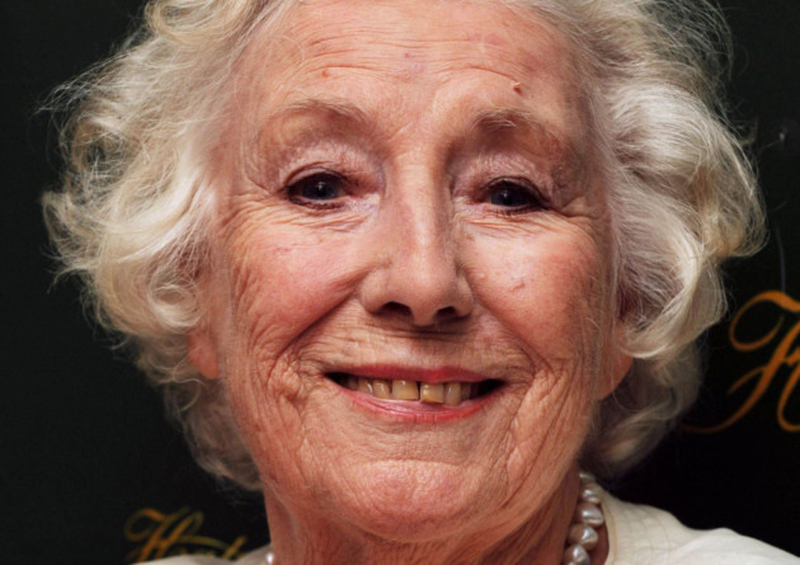 Entertainer and Forces Sweetheart Dame Vera Lynn, from East Ham, is well known. 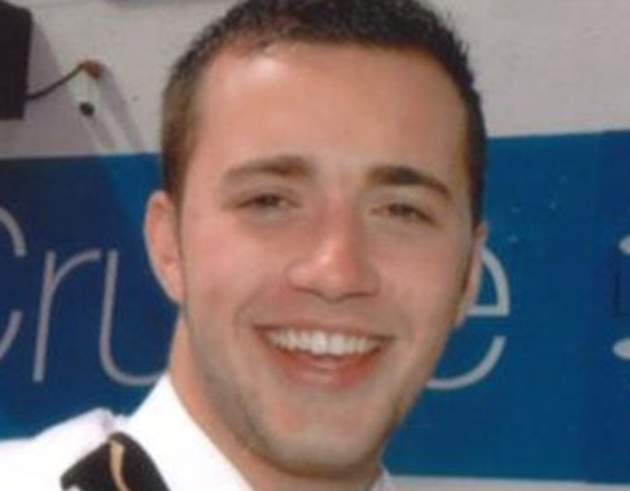 But Ben Woollacott, the 19-year-old ferry deckhand who drowned in an accident in 2011, means more to locals. The young man came from a river working family. He was the sixth generation of Thames watermen. The vessels are keeping local heritage alive and will quickly become part of our history. And it’s the tales of old that allow us to capture special stories. Ferries have been operating since the 14th century. The free service opened in 1889. By the 1920s the rise in motor vehicles was putting pressure on capacity and a third boat was introduced. Even with the Blackwall Tunnel opening the ferries service still needed expanding. In 1963, it upgraded to the service most of us remember. It seems unbelievable today, but spending time on a ferry was the nearest many generations got to a holiday in their childhood. Colleen Russell’s love affair with the ferries is lifelong. She said: “They were and are a huge part of life. I was five in 1963 when the just retired ones arrived. Mum and dad took myself and siblings ‘across the water’ to ‘do the shopping,’ or visit relatives on the Woolwich side. Dad always bought bags of peanuts so we could feed the pigeons. This was great fun. They would swoop down on the deck and kids would scream. “As teenagers, you’d meet up with your boy or girlfriend, sitting chatting in little ferry booths. I took my first son in his pram on the ferry to ‘do the shopping’ -history repeated itself! The first ferries, side loading paddle steamers in the 1880s, were Gordon, Duncan and Hutton, named after General Gordon of Khartoum, Colonel Francis Duncan MP and Professor Charles Hutton. 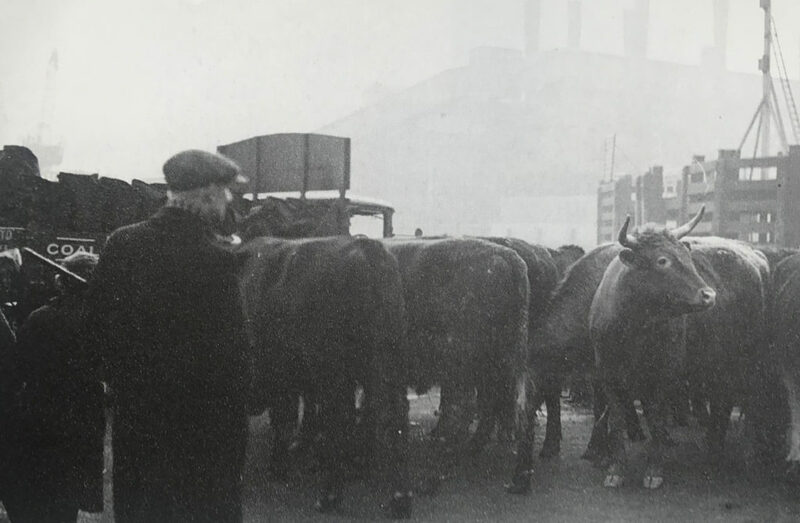 This fleet was replaced in 1923 with The Squire, named after William Squires, former Woolwich Mayor and in 1930 with Will Crooks, MP for Woolwich. 1930 also saw the John Benn, named after LCC member Sir John Benn, MP for Wapping. The John Benn was fictitiously destroyed in the 1959 film Behemoth, the Sea Monster. A scale model produced interacted with a model of the monster’s head, which capsizes the ship in the Thames! *John Burns, trade unionist, politician, and minister. 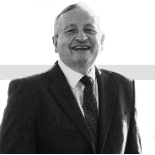 In retiremement, he developed London history expertise, coining the phrase: “The Thames is liquid history”. * Ernest Bevin, statesman, union leader, politician. He co-founded the TGWU and was Minister of Labour in wartime coalition. * James Newman: Woolwich Mayor. 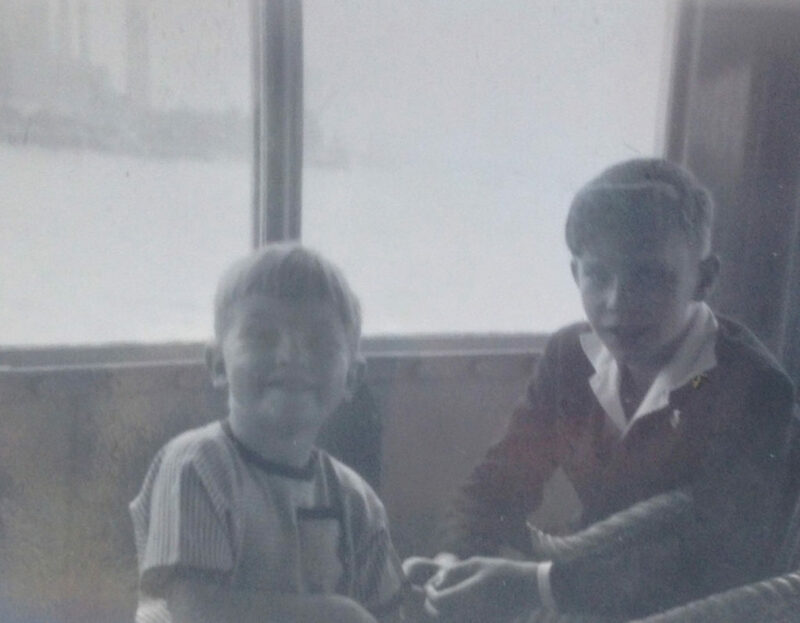 Stan Dyson, 73, told me: “My favourite ferry memories are from summer 1952 when, aged seven, my mates and I would catch a 669 trolley bus from West Silvertown to the Ferry. We had the time of our lives playing the game of ‘He’ around the boat. We climbed through the metal tunnel that took away boiler fumes, and into the side chambers to see the revolving ferry paddles churning up Thames water into a white froth. “We would climb the ladder to the upper level car storage and continue the game of ‘He’ until we were chased by the superintendent! When they got to the “darker side” (Woolwich) Stan and pals would leave the ferry and go into High Street and have a “giggly-peep” at adult photo books in a shop window! Bill Grainger, 91, worked as a deckhand on John Benn aged 14, and loved the life. “We worked hard keeping the vessel tidy. I’ve always loved the sea. My years on the ferry led me to work on the Sun Tugs for many years.” Bill did not have to move far! The tugs were moored just 100 yards away at the Pavilion Pier near Royal Victoria Gardens. I remember all ferries of the 60s, spending all weekends and school holidays on them. When you got off on the south side you walked the 39 Steps, named after the Hitchcock film, a narrow set of walkways, to Woolwich Odeon for Saturday Morning Pictures. We’d take the ferry to Woolwich Poly swimming pool. The café had an underpool viewing area and the most delicious eggs on toast. Our gang of friends would go to Woolworths on the way home – to purloin Pic ‘n Mix sweets. We did once get caught, but got off with a warning from a friendly bobby. Our usual escape route was a run to the ferry! Love of the vessels also spawned the Ferry Festival. It began 45 years ago and lasted 12 years. Thousands came together to celebrate the unique nature of the “island” community in North Woolwich and Silvertown – and it was by the people, for the people. In the 70s the closure of the docks and local factories hit and changed our community. The festival helped heal wounds, keeping people occupied with a sense of purpose to stage something special. I got involved as a reporter, and a local. Each year the paper I went on to edit, the Newham Recorder, devoted more space to the event. 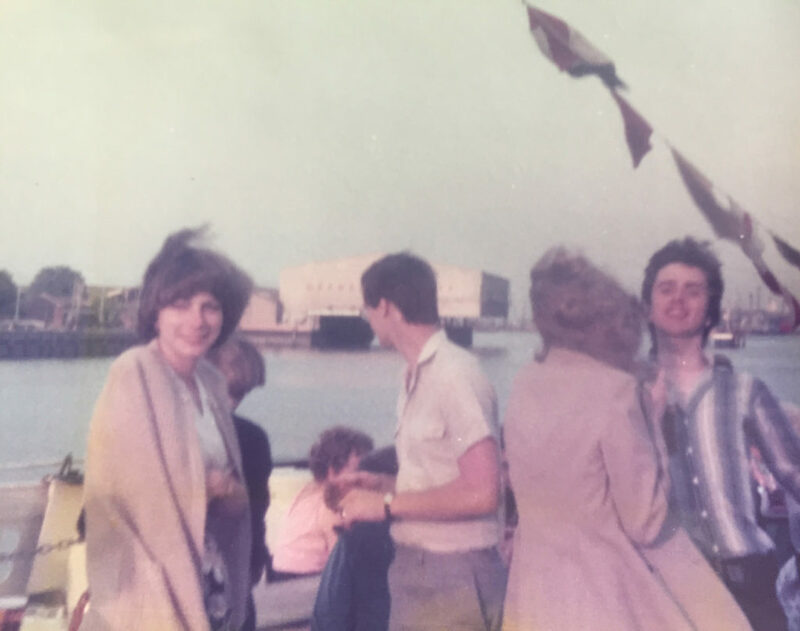 At the end of one festival, local police hired a ferry for an evening river boat disco to Tower Bridge. Nothing like that has happened since. It was wonderful. Three years ago, the community decided it was time to bring back the festival. The new community is coming together again in a many ways. 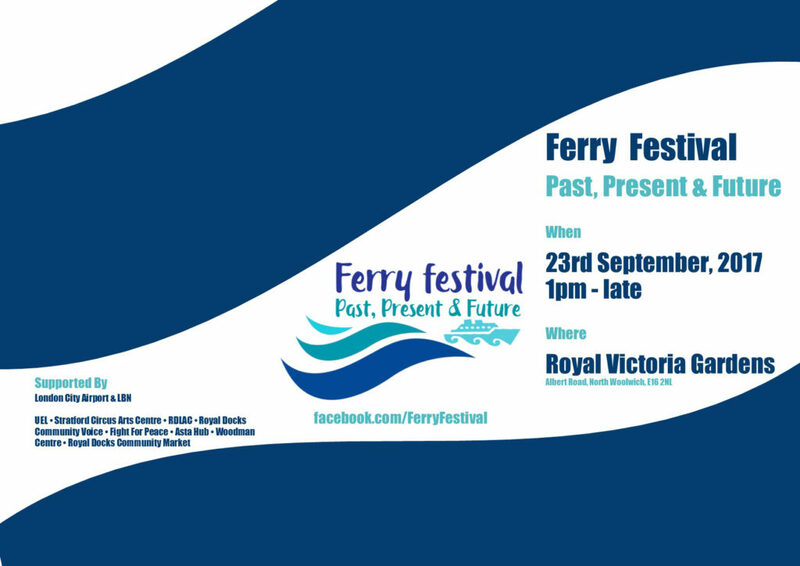 Two re-born festivals have been staged with a third one coming up this summer – very fitting as the new generation of ferries are now with us. This is a longer version of the feature in the Forgotten Stories section of the new website for London’s Royal Docks. This article was written on 08 Apr 2019, and is filed under ben woollacott, dame vera lynn, North Woolwich, woolwich ferry.